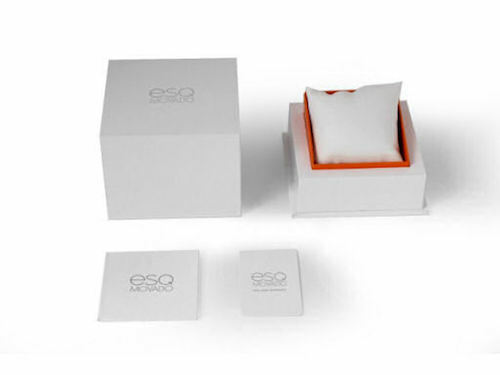 ESQ watches provide a fresh perspective from updated classics to chic bangles to eye-catching sport models, ESQ watches for men and women fuse American style with fashion-forward aesthetics and Swiss-engineered precision. Stainless steel case with a stainless steel bracelet. Fixed bezel. Black dial with silver-tone hands and index- Arabic numerals hour markers. Dial Type: Analog. Date display at the 3 o'clock position. Quartz movement. Scratch resistant mineral crystal. Solid case back. Round case shape. Deployment with push button clasp. Water resistant at 30 meters / 100 feet. Functions: date, hour, minute, second. Dress watch style. 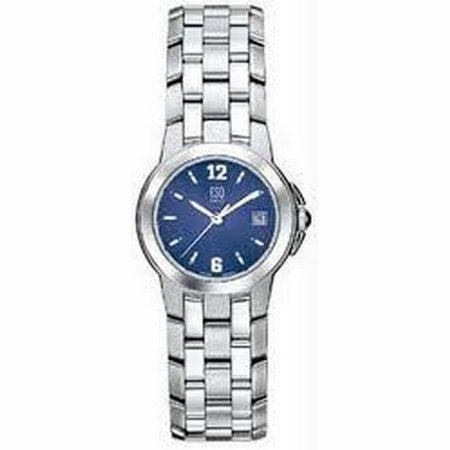 ESQ by Movado Previa Ladies Watch 73100951.